You were born in Chicago and your father was a musician. Is that correct? Yes, my father was a drummer. He recorded with the King Fleming Trio and prior to that he did tell me that he played behind Miles Davis, Billy Holliday, Wardell Gray, Charlie Parker and Herbie Hancock when he was really young. My dad is deceased now and passed away when he was aged 71, over ten years ago. Was your dad instrumental in teaching you how to play the drums? He said that he didn’t teach me because he didn’t want to force it on me, but I was around him when he was playing. I do remember that my brother who is now deceased and is two years older than I am. My brother, my father and I were three drummers. I do remember seeing my dad on TV on one of those black and white shows when I was maybe about seven. We were sitting in the dining room and our mam called us “look at your dad on TV!” He was playing with the Tom Tones before he was playing with King Fleming, but he recorded with the King Fleming Trio. In actuality before I forget it you can hear his voice on a song called ‘Time Out Part Two’ and he’s singing in African. That’s my dad’s voice. Actually it was around sixth grade when I was aged eleven or twelve. I put together a kit because my father had given me an old cymbal, a pedal and a practise pad. I don’t know if you remember back in the day they used to have models in a big carton and that was my bass drum. From that point on after sixth grade my brother and I joined the Mable Park Drumming Corps, who my father was also a drum instructors. I learned my basics there. I’ve seen videos of you singing. Were you singing at the same time as you drumming in those years? Yes. I picked up the singing in sixth grade because the group that I was with, The Mystiques, we definitely admired the Five Stairsteps and we tried to sound as close to them as we could. We sang and played at the same time with the McGee Brothers, one brother Larry played bass and Greg played guitar. I was the drummer. We all met at Fenger High. The lead singers name was Basil Hughes, who’s now deceased. We went to a catholic school together called Holy Name Of Mary. How did you get to record the single on Twinight and what age were you? We were aged around fourteen and fifteen. My father was affiliated with the music aspect. My dad got together with King Fleming and said “Let’s take them down to Chess?” It was exciting because we were young. Then we did just like the Jackson Five. We used to play bowling alleys and different places. They had the shakers, the women shakers. We made maybe $5 or $10 a show. I remember that we recorded at Chess not knowing that Twinight would later release the songs on vinyl. That was before I got with the Sons Of Slum. Why did The Mystiques break up? We basically grew apart. Back then Sly and The Family Stone were the ones to follow with the hippie movement and all that. Also James Brown and Jimi Hendrix were big around then. We were in another group called Raw Umber. I didn’t record with Raw Umber but Greg did. I have that 45 also. I still talk to the lead singer Pepper every now and again. What did you do next after the break up? I was in a group called Orange which was an integrated group. Paul Patrias was the lead guitarist and singer. He was white. The organ player was called Ryan, was white. Larry who was with the Mystiques played the bass. We did some college shows. We did record but nothing was ever released. Were you friendly with other Chicago musicians at the time? When I played with Raw Umber I was friends with Chaka Khan and her husband. They were one of three couples who lived in a shared house. Chaka was coming up through that time. She was saying that she was going to make it. She’d just got together with Rufus on the Northside. Then all of a sudden her record took off and she was gone. At the time Earth, Wind and Fire were also breaking through in Chicago and some of them would come and watch us perform when I was with the Sons Of Slum. Michael Harris was one of the trumpet players with Earth, Wind and Fire. He used to come and he would jam with us at our rehearsal hall. He used to tell me all the time that I should quit Sons Of Slum and come to join Earth, Wind and Fire since I was bad drummer. “I don’t know why you’re still with them you should come and join us because you’re such a good drummer.” In my mind I always thought that it was just a matter of time before the Sons Of Slum made it big. I forget that in between the Mystiques and Sons Of Slum I played with Chuck Bernard and the Bobby Rush group. He lived around four minutes walking distance from my parents’ home. The Sons Of Slum existed before you joined them. Is that correct? During the time that I was in Raw Umber and I was working part time at the Post Office. Some of the girls that I worked with always to go on about how the Sons Of Slum tore up the show. During that time Sly and The Family Stone were the number one group. I told the girls that no matter how good the Sons Of Slum are they can’t be better than Sly and The Family Stone. Their response that they don’t know that, but they sure are good. The Sons Of Slum were getting played heavily on the local radio Stations at this time with the announcer saying “come down and see Chicago’s own fabulous Sons Of Slum.” During that time for a couple of years every time the Sons Of Slum would play locally I tried to go and see them. The shows were always sold out. Finally I got a chance to see them downtown. My girlfriend and I had tickets where we sat all the way at the back. During that time the song ‘Shaft’ was out and the Sons Of Slum had opened up the show for the Ojays. They opened up with the song ‘Shaft.’ The announcer said “Are you ready for the Sons Of Slum?” By the time he finished all the girls had gotten out of their seat and ran down to the front. Of the stage. The band used a strobelight during the shows and they were like a silhouette down in the pit. As the pit rose it looked like giant silhouettes were playing. By the time they hit the first note of ‘Shaft’ I realised that there were bad, so bad. What I saw was mirror outfits, the lead singer had on a red riding hood with swimming trunks, Viking boots, mirror glasses and playing a tambourine. I turned to my girlfriend and said “they are really good. The only thing that they’re missing is a drummer like me.” I was joking. Around two years later some of the musicians that I knew told me that Sons Of Slum were looking for a drummer. You can find them hanging out at the Starlight Bowling Alley. They go there and the High Chaparral. Back then on a Thursday night at the Starlight there was a jam session which is where I originally met Chaka and many others like The Pharaohs and Bosco. The sessions would start at 8pm or 9pm and all the musicians would just jam. One night I went, it was a small club, somebody said there’s the lead singer of the Sons Of Slum standing in front of the stage. I approached him and asked whether he was one of the Sons Of Slum. “Yes I am.” I said “I understand that you’re looking for a drummer.” He turned around and turned his back on me. That was it. He ignored me. I’ll never forget that. That didn’t stop me. They were an eight piece group. A friend of mine said that they hang around the High Chaparral as well, which was the biggest music club in Chicago at the time. A friend of mine said there’s a couple of members on the steps. Unbeknown to me at the time one was the bass player of the group. I asked him “I understand that you’re looking for a drummer?” “Oh yes. Whatcha play?” “I’m a drummer” He said be over here at such and such a time and gave me the address of where they rehearsed. The such and such a time was twelve o’clock. I made it to their rehearsal and I set up my drums at twelve o’clock. They didn’t come in until 3pm. When they came in they asked me whether I knew this song and that song. I must have went through five songs and they said listen you’ve got the job. Guess what I did? Remember the time I told you about James the singer turning his back on me. He said “You’re a good drummer. I’m glad to have you in the band.” I replied James “do you remember the time that you were at the Starlight Bowling Alley and a guy came up to you and asked you whether you were looking for a drummer?” He said “yes, yes.” “That was me!” “Oh man I’m so sorry. I was high that night.” So from that point on I was with the Sons Of Slum. I’ve just remembered that Mr T used to come around and watch us perform back then and our lead singer used to have that haircut, a Mohican, before Mr T decided to get that haircut. The Sons Of Slum were the hottest live act in Chicago in the ‘70s! 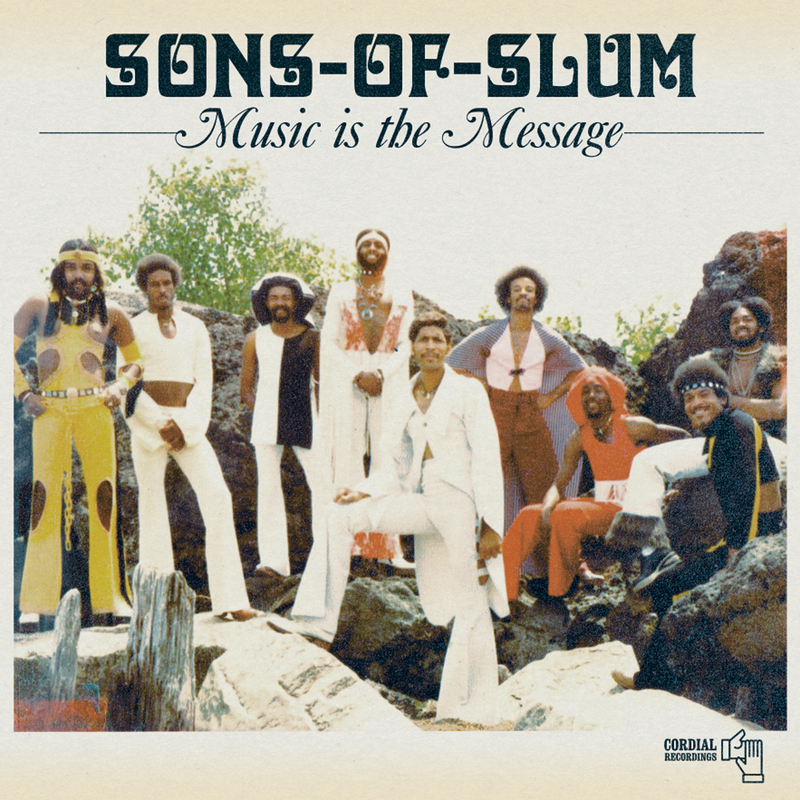 I would say from 1967 to the ‘70s, because you also had other groups like the Scott Brothers, Bosco, and The Pharaohs, but every will tell you that the Sons of slum were the group. I can’t take anything away from the other groups because they were all good groups. The Weapons Of Peace were our rivals. Wherever we went they would also be playing the same venues as us. They would have their girl groupies and we had our groupies. The girls groupies were highly protective of bands. 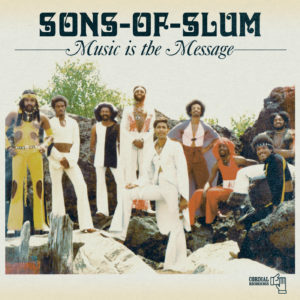 The Sons Of Slum recorded some singles on Gamma and Stax. When was the next time that you went into the studio? Remember that I wasn’t in the group for those recordings. I would say that we have five hairpin success stories, when I say hairpin you get the idea of being very successful. The first one is that our manager, which was Ken Freeman, is a rich white Jewish guy. He saw us live, actually I’d known ken from a previous group before I got with Sons Of Slum, and he was looking for a group to manage. So the equipment man and myself mentioned Sons Of Slum because I was with them now. Ken wanted to take us on and he became our manager after Pervis Staples, who was a brother of the Staple Singers. Ken became our manager and was trying to get us a record deal. He was looking around and it was taking quite a while. He got access to Capitol Records. Here’s the story for that. We got hooked up with Capitol Records and they sent Johnny Pate. They gave him eight grand to come and arrange eight songs. When he came he told us that here’s the order that the group Tavares were to have the number one release on Capitol, your album will be number two and then a female group, who I can’t remember their, would be number three. That was the order. We were told that as soon as the Tavares is released we’ll put yours out. Of course when the Tavares album is released it’s doing really good. We said “that’s great with their album doing good, but what’s taking ours so long?” We get the word from Capitol that because Tavares were doing so good that we decided to put everything in them and wait on you guys. They had our album, but they weren’t going to release it because we’re going to deal with them. So we wanted out of the contract, but they said no we have you for a year. So we couldn’t do anything for a year. They had our album and they shelved it. They still own it today and I’m on that album. The second hairpin success story was the group Chase who went down in an airplane crash, they were like Chicago and Blood, Sweat & Tears. Anyway they got killed in an airplane crash and their manager approached our manager “let’s merge you and I as managers. I’ll produce Sons Of Slum.” He came and he talked to us, “You know my group. I lost them all. I’ll put you right there where they were.” This was our second chance. We went into the studio and cut four songs. At one point we’d lost our guitar player and a friend of mine came into Sons Of Slum. We go into the studio, cut the four songs and the manager Ken Freeman calls me back cursing and everything. “What’s wrong Kevin!” “What are you talking about Ken?” He said “which one of you guys stole the guitar out of the studio?” I said we’ll have a talk with our guitar player about it.” Ken tells us that the guys through with you guys, he doesn’t want to deal with you. I said “Ken let me talk to this guy.” Ken gave me the number of the guy and that was the manager of Chase. When I called him I asked him “what’s happened?” “One of your guys stole the guitar out of the studio. If you can’t handle it now how are you going to handle it if you’re successful? I’m through with you.” Before that I’d told him that we’d fire the guy that did it. We did approach the guitar player and he said that he took it by accident, but we got rid of him anyway because there was no way he didn’t know what he took. His guitar was a Fender and the one that he stole was a Gibson. Totally different cases. That’s the second one that we blew. The next one was that we were signed to Curtom Records whilst I was with The Mystiques and I said that we could approach Curtis Mayfield about him possibly signing us. I said “I’m telling you now I already know his contract. He’ll take 60 and we’ll get 40.” We had written all our songs and if anything we’ll reverse that. He’ll get 40 and we’ll have 60. So we went in and we met Curtis Mayfield. He said “I’ve heard a lot about you guys. Let me hear what you’ve got.” We took the copies that we had from Capitol and let him hear them. He said “leave it with me, let me listen to them and I’ll get back to you in two weeks.” We left them with him and he called us back in. He said “I like what I heard, but here’s my contract. I have Baby Huey & the Baby Sitters. I have the Five Stairsteps. I’ll make you. I’ll definitely put you there. You see my wall when you came in with all the gold and platinum records. Here’s my contract I get 60 to 40.” “We’ll get back to you.” You know what happened because we disagreed with 60 to 40 we did not do a deal with him. The fourth one is the album that you’re about to release. We said that we’ve been knocking around for so long that we should save our own money from all the jobs we had to record it ourselves. We’ll go around and try to get a record deal. That’s what we did. We went to Paul Serrano studio and we utilised our own money to record those eight songs, by the time we completed we were going to go out to LA. Maurice was the band leader and the group decided to send us “because all of us didn’t need to go out there because there’s no jobs lined up for us there. You two go and handle the business. See what you can do!” We flew out to LA and stayed with a friend of ours called Beverley, who worked where Jane Kennedy was, Ron O’Neal who did Superfly and a lot of big stars were there. Joe Jackson was also in that building. When we were there we’d been walking around for two weeks and nothing had happened. Then finally we met a man from RCA and he listened to our songs. He said “well if you come back tomorrow morning we’ll sign a record deal because I like what I’ve heard.” “OK.” Maurice and I went back to Beverly’s and said “We finally got the hook up.” Beverly said “That’s good.” We told her that “we’ll sign the contract tomorrow morning.” “That’s good. Do you all want to go to a party tonight?” We said “no we don’t want to go to a party tonight because if we go to the party we know that we’re going to be drinking and of course we’ll be getting high. We want all our faculties for tomorrow morning.” She said “you’re invited because Aretha Franklin and Glenn Thurman are celebrating an anniversary. They’ve invited us to come to their party.” That was a tough decision but we said “no we can’t make it because tomorrow morning the guys going to sign the record deal.” Of course you know what happened, we didn’t go to the party and we went down to RCA where the guy said “I’m sorry but we’ve had a change of mind. I won’t sign the contract.” Now Maurice and I are looking at each other that we should have went to that party last night because we would have met some of everybody that was there. Aretha Franklin’s house with Glynn Thurman, the actor from Cooley High, we’d have met some of everybody. The final one and we’re talking about the breakup of Sons Of Slum was that this guy used to hang around us, he was a black guy and he was in the syndicate. I can’t think of his name. He said that “you’ve been messing round all the time why don’t you get with us? We’ll make you. We’ll definitely get you out there, but you’ve got to be serious.” You know we would not be bothered with the Syndicate because we know if you sign with them there’s no way of getting out. We sat around and said “this is our last final chance. We have an option with this guy and his buddies in the Syndicate. What do we have to lose?” Everybody voiced their opinion and we said that we really don’t want to sign with them. My opinion was that “if we planned to be successful eventually we’re going to have to run into them anyway. Either we could sign now or we will sign later because if we’re successful we can’t say no because you know what they do to people that say no!” We told the guy that “we’ll talk to your guys.” He tells us “listen I’m telling all of you now. When I bring these guys in you know that we’re serious. If anybody wants to get out leave now.” Here’s the clincher, “You know what we did to Marshall and the Chi-Lites we hung one of them out of the window that wanted to get out. Did you ever see the Five Heartbeats the movie? That’s actually what happened to Marshall and the Chi-Lites. If you’ve noticed they’re still working today. What happened from that point on he said “come over to my apartment.” He lived on South Shore Drive in a plush high rise apartment. “I’ll have my guy come in, we’ll sign and go from there.” He called us, Maurice, myself and one other member of the group to go to his apartment. We went there and he buzzed us up. “Who is it?” “Sons Of Slum” he opened the door and pushed us in to his apartment, which was on the 23rd floor or whatever. He said “Listen I don’t have time to talk right now. I’ve just found out that they’ve put a hit on me. Nice knowing you.” He opened the door and pushed us out in the hallway. That was the last we saw of him. Of course we’re going through all these changes, hairpin success stories. The last one was somebody said that there’s a lot of work down in New Orleans, by that time a lot of group members said “I don’t want to go to New Orleans! I’m tired of this. I’m tire of that” The saxophone player and myself said that we’ll go down there to find out what’s happening there. We went down there and we played behind Nate Evans. During the time that we were gone we got word from Chicago that some of the members had started selling their equipment. I had some of the equipment and they had some of the equipment. That was the demise of the group. I said that “if they bring back the equipment that they had and I’ll bring back the equipment that I have.” Of course that didn’t turn out and that’s how we broke up. I went to New Orleans in February 1978 and stayed there for five months. When I returned in June that’s when everything happened and the group finished. It was time for me to get a job. I still played music after Sons Of Slum.